HE is believed to be the only dog in Scotland trained to recover human remains from under water. And now Barra is ready to start work on the River Clyde or wherever he is needed. 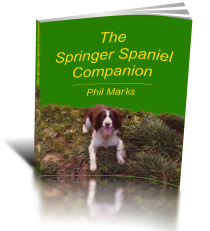 The 19-month-old Springer Spaniel belongs to Iain Marshall, 44, from Dumbarton, who read about using dogs to find missing people on the sea bed in a magazine. The station officer at Helensburgh Coastguard and a boatman on the Clyde for Glasgow City Council, decided on his own to research the idea then travelled to Wales to get Barra and train him. He said: A lot of things happen on the river and unfortunately people go missing, they sink to the bottom and it can take weeks if not months for these people to refloat. I was reading an article in a magazine about these dogs that can locate bodies under the water and I thought this would be ideal for the river because it could bring closure to peoples’ families. He contacted Nick Swindells, from UK Search Dog, who agreed to train both Iain and Barra on a year-long course at the International Rescue Training Centre in Wales. Barra locates bodies by smelling gases they release. He said: A dog’s natural ability is to go and locate scent, but when you are using him on the boat you are bringing him to the scent, the scents coming to him rather than him going away looking for it. It is a difficult discipline to do with a dog. As far as I am aware Barra is the only qualified submerged remains search dog in Scotland. Barra has already helped find a missing person. © Copyright 2011 Herald & Times Group. All rights reserved.